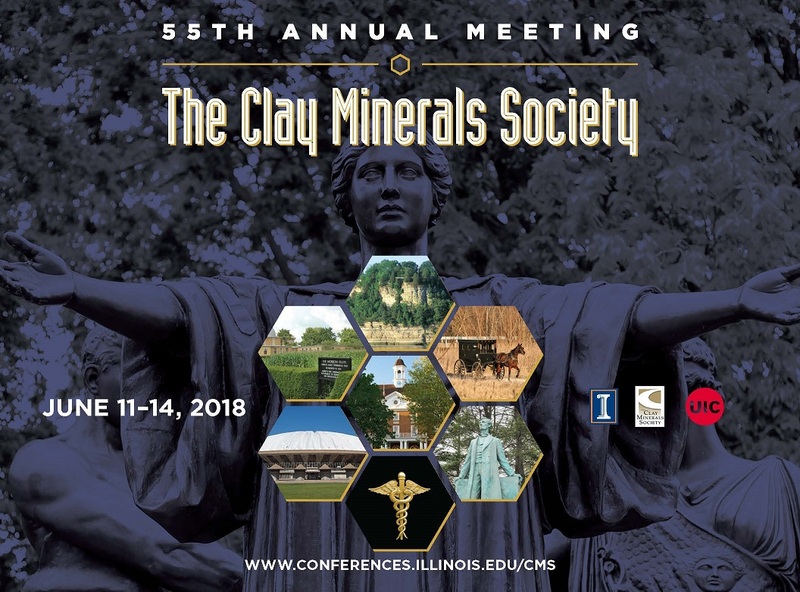 Purpose: This special travel award program is designed to provide financial support to U.S. graduate students to attend the annual meeting of The Clay Minerals Society (CMS 2018). This program is separate from the CMS Student Travel Grant program which had a deadline of February 5. Eligibility: The applicant must be a U.S. citizen or permanent resident of the United States with a valid Social Security number at the time of application. Membership in CMS is encouraged but not required. Join CMS at this link https://cms.clays.org/membership.html. A membership number will be assigned and will be needed to register at the CMS member student rate. The applicant must be a presenter (oral or poster) at the Conference, so an abstract must be submitted either before or at the same time as the application for the travel grant. To submit the abstract, go to http://conferences.illinois.edu/cms/abstracts.html. Notice that about 20 different thematic sessions, including a general session, are planned. Reimbursement payments will be distributed at the Conference banquet. How to apply: Each applicant must complete an NSF Travel Award Application available online here. Judging criteria: Applications will be judged on a competitive basis by the Conference Organizing Committee. Use of funds: Funds can be used to pay for: (1) meeting registration at the student rate, (2) field trip(s) that are part of the meeting, (3) pre-meeting workshop at the student rate, (4) travel, and (5) lodging. The grant will be distributed as a reimbursement upon presentation of receipts, up to the maximum amount awarded to the individual. Award reception: Recipients will be recognized at the banquet, so attendance at the banquet is expected. Questions?Contact Dr. Yuji Arai, Conference Chair, at yarai@illinois.edu.